Arles was an important Phoenician trading port prior to Roman conquest around 123 BC. In 104 BC a canal was dug to link it to the Mediterranean Sea. It grew in importance during the war between Caesar and Pompey. 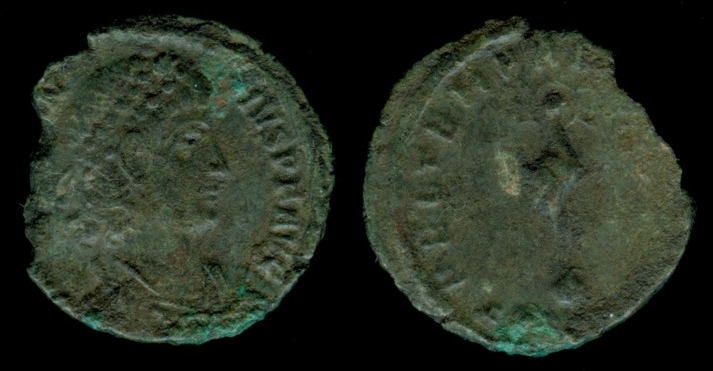 Massalia backed Pompey and when Caesar emerged victorious, Massalia was stripped of its possessions, which were transferred to Arelate as a reward. The town was formally established as a colony for veterans of the Roman legion Legio VI Ferrata, which had its base there. Its full title as a colony was Colonia Iulia Paterna Arelatensium Sextanorum, "the ancestral Julian colony of Arles of the soldiers of the Sixth." The city reached a peak of influence during the 4th and 5th centuries, when Roman Emperors frequently used it as their headquarters during military campaigns. In 395, it became the seat of the Praetorian Prefecture of the Gauls, governing the western part of the Western Empire: Gaul proper plus Hispania (Spain) and Armorica (Brittany). It became a favorite city of Emperor Constantine I, who built baths there. His son, Constantine II, was born in Arles. 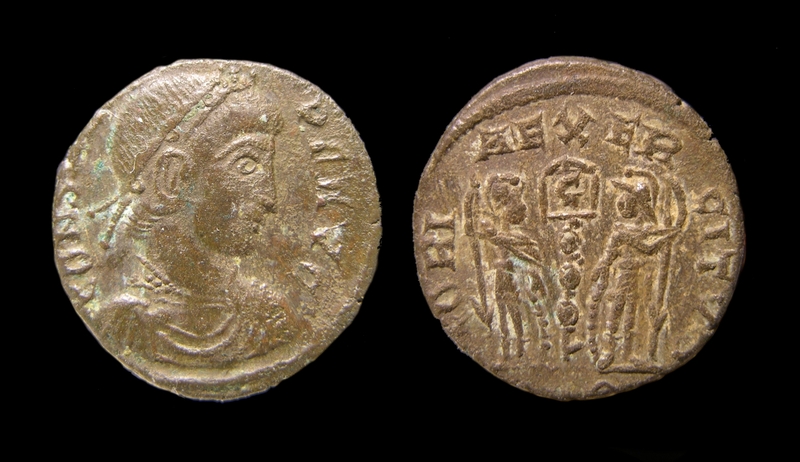 Usurper Constantine III declared himself emperor in the West (407–411) and made Arles his capital in 408. Obvs: CONSTANTIVS FP AVG. Diademed, draped, and cuirass bust right. Obvs: DV CONSTANTINVS PT AVGG, Constantine veiled right.